As an undergrad at Brown University, Tracy Miller was encouraged to pursue her intellectual passions, which immersed her in history, literature and the Spanish language. At Harvard Law, Tracy was schooled on the principle that the law is constantly changing and what defines a great attorney is the possession of the analytic skills to address new laws and issues as they emerge. Tracy learned her lessons well. Today, as the Deputy Chair of Bond’s Health Care and Long-Term Care Practice and Co-Chair of the firm's Cybersecurity and Data Privacy Practice, Tracy is on the cutting edge of the law, focusing on the continually evolving practice areas of health care, data privacy and security, compliance, and corporate law. Tracy's clients benefit from her broad experience as outside counsel, a former general counsel of a large health system and as a former policy maker. An invaluable asset to health care clients across the continuum of care, she ably tackles emerging issues presented by the major transition underway in health care delivery. In particular, she focuses on the legal and strategic challenges posed by new care delivery models -- governance, corporate transactions, value-based payment, population health management, corporate compliance, data privacy, cybersecurity, and complex contractual relationships. Early on, Tracy impressed colleagues with her ability to quickly understand and embrace developing issues. While in her first law job at a New York City firm with a not for profit and public sector practice, a colleague recommended her for a position as the first Executive Director of the NYS Task Force on Life and the Law, established in 1985 by then Governor Mario Cuomo. 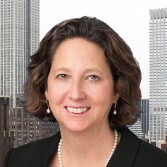 Appointed by Cuomo, Tracy led this prestigious task force that examined ethics and medicine and made recommendations to New York State elected officials. During her 10 years as Executive Director, the state adopted the extant policy of many of the laws that now define the rights of patients and family members in making health care decisions.